No need to tell you about Central Serengeti. I think I’m not mistaken if I say that everyone who is traveling to Tanzania visits this national park. And it’s truly a gem! 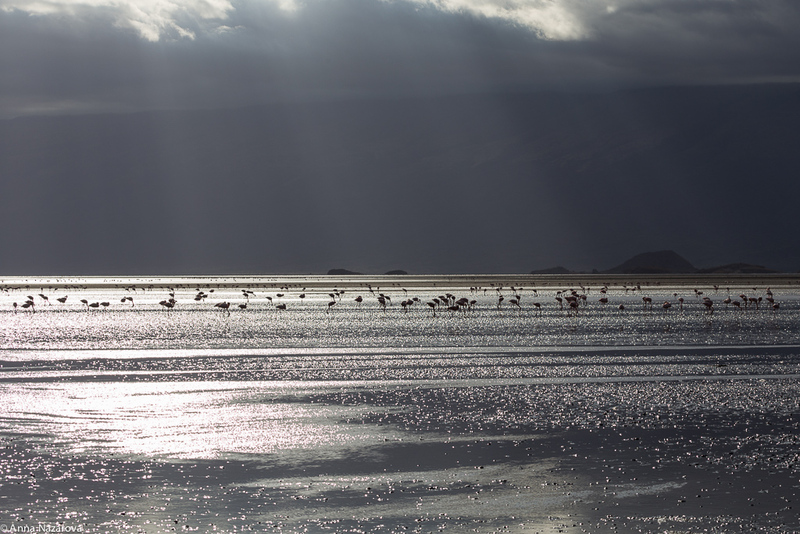 Huge territory with lots of animals and beautiful landscapes and numerous birds. I just show you how lucky we were to see so many animals busy with their things like hunting or having an afternoon nap! 1. 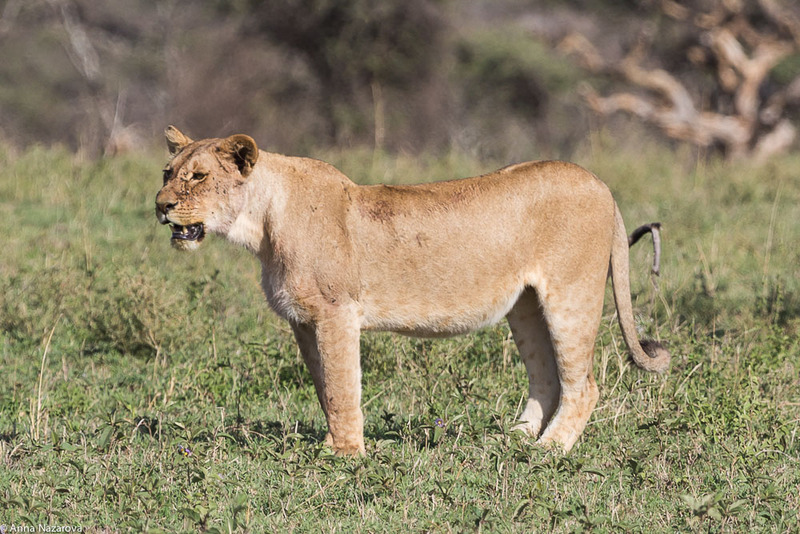 This lonely lioness was smelling the air and thinking about where to go for hunting. 2. 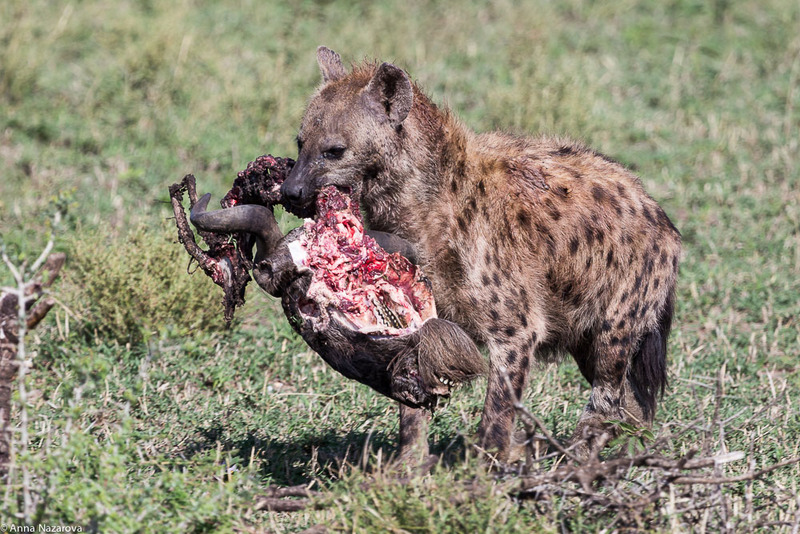 Then we were so lucky to spot this spotted hyena with a head of wildebeest! The head was very heavy and our hyena made a few stops while carrying her precious cargo! 3. 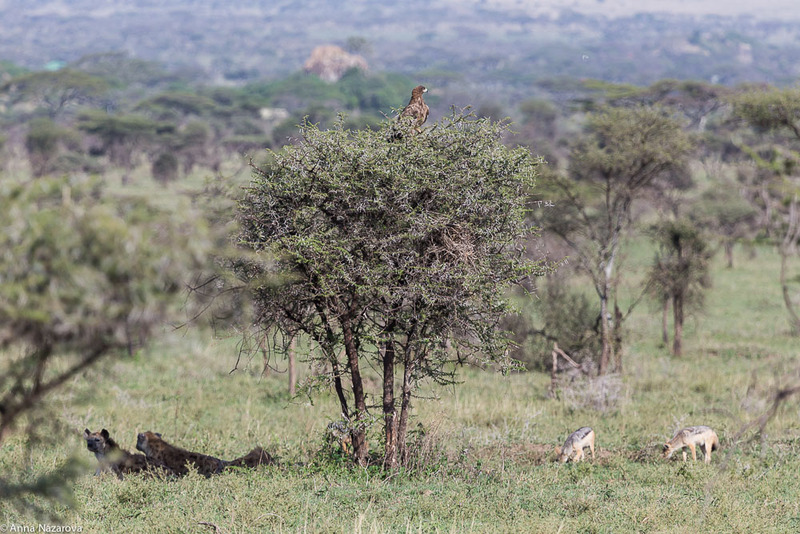 This is a typical african landscape: it’s a party time for some vultures, jackals and hyenas to have a good meal! 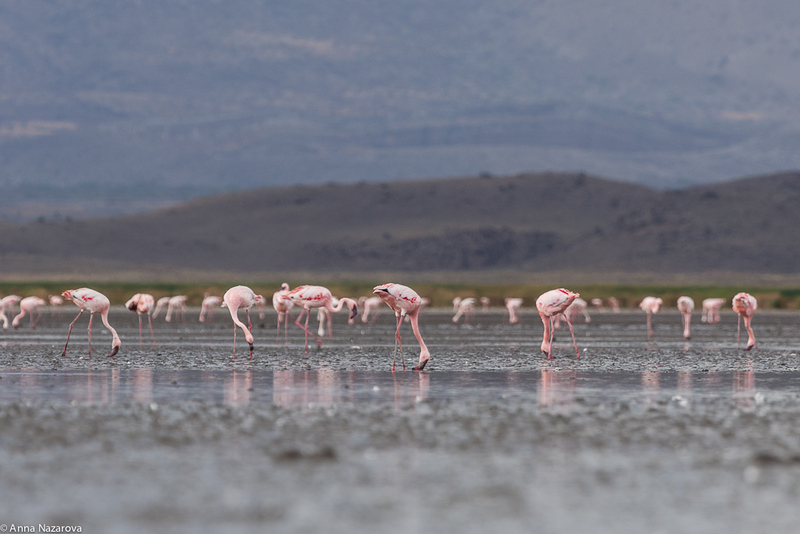 Day 3 and 4: Flamingos Paradise at Lake Natron! 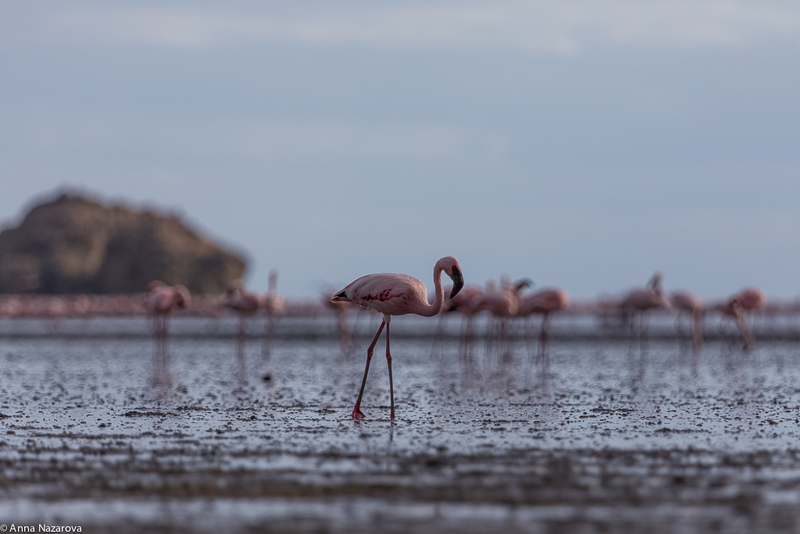 Continuing with Lake Natron, you can find there one of the most beautiful creatures – flamingos. After I saw these amazing pictures by photographer Nick Brandt, I so badly wanted to go there and just walk around and enjoy the atmosphere. 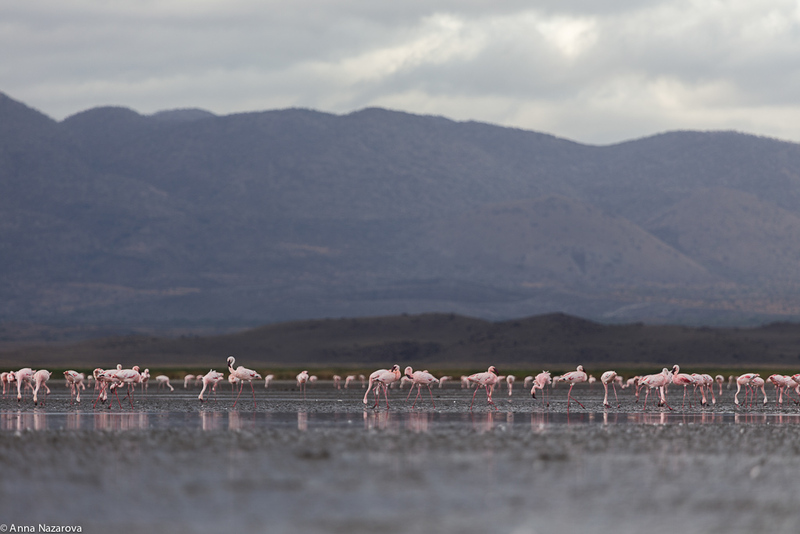 Lots of flamingos around you, beautiful landscape, what else one would need? 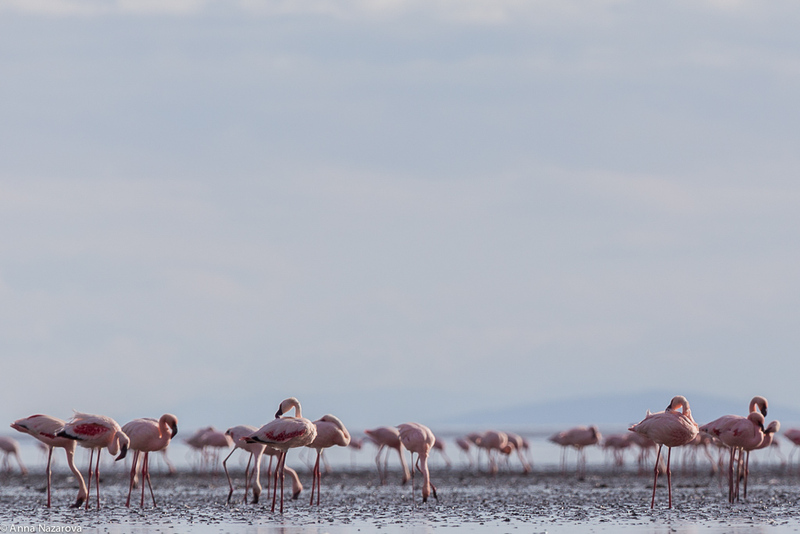 The reality turned to be a bit different, though as always 🙂 Flamingos are very shy birds. So as long as you try to sneak around, they’re slowly moving away from you or simply fly away! They’re very hard to photograph… On top of that, they basically stay in a very muddy area, which is very wet and slippery. So be prepared to get really dirty 🙂 Anyway, they are truly beautiful creatures and I really enjoyed walking around. Hope, you’ll like some of my photos. 0. 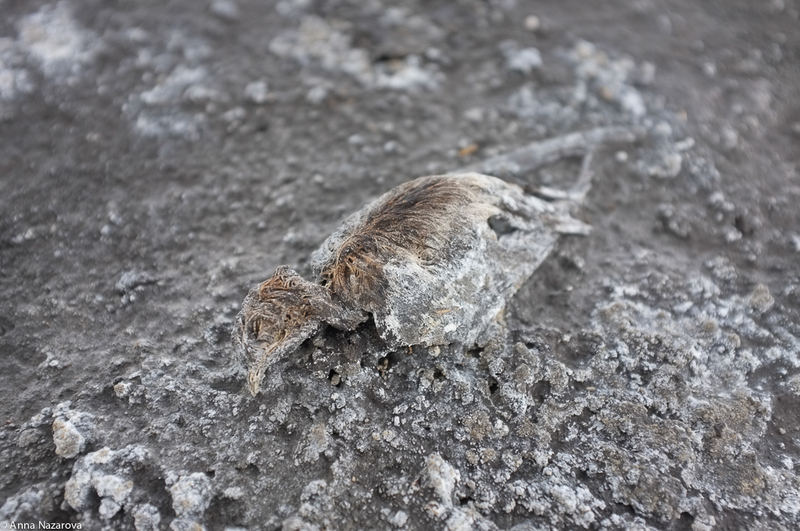 If you want to see these “frozen” dead birds, like Nick Brandt did, you should go there in April. We were there in September, so I found only a baby bird.